They key staff started their EDM careers at Raycon Corporation in 1970’s. Moving to Ann Arbor Machine in 1992 and finally to AA EDM Corporation in 2009. We made production of microholes using EDM both faster and more accurate while at the same time simplifying machine operation, change-over and maintenance. The founders envisioned a company which would develop innovative solutions to its customers’ most challenging manufacturing problems. We build relationships with our customers and support them with service and spare parts. 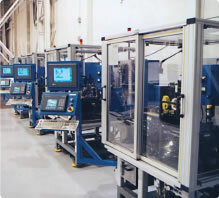 We have build hundreds of machines for customers worldwide helping them to manufacture the best injectors in the world. 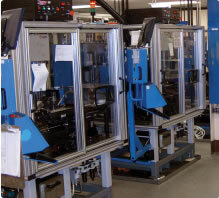 From very simple manual load-unload to fully automatic, robotically loaded machines, our machines are working in many industries around the clock in real life production environment.